The music of Street Fighter X Mega Man links two of Capcom’s most popular series in a way that is both fresh and comfortably familiar. Though this soundtrack is essentially a cover album of numerous Street Fighter themes, its rhythmic style and chiptune sounds are immediately recognizable to anyone who has played the first few Mega Man games on the original Nintendo Entertainment System. From its very first sounds, this OST fuses its content sources seamlessly. 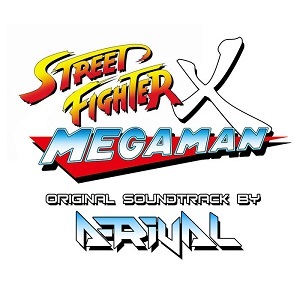 This unification is all the more impressive given that composer / arranger Luke Esquivel, better known as A_Rival, had to simplify each Street Fighter theme to match the lighter, 8-bit textures of Mega Man. Sometimes this means shorter sections or less looping of phrases, and it always involves cutting some harmonic, percussive or even melodic voices from the texture. In the finished product, however, the Street Fighter themes are easily audible while still fitting well with the retro gameplay and design that characterizes Street Fighter X Mega Man. “Less is more” might be a good way to describe these new tracks. “Urien Stage” makes a good case study here. It omits several repetitions from the original theme and varies the pitch range so that its melodic content stands out more clearly than in the original. Furthermore, A_Rival manages these changes without dropping the heavy beat or non-pitched percussiveness of the source theme. It’s artistic simplifications like this that make the composer’s skill most apparent. 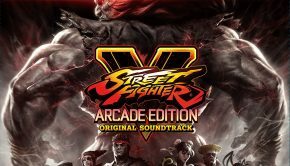 Not only does each track fit its Street Fighter origins, but the entire OST sounds equal-parts Mega Man. “Select Your Fighter,” for instance, precisely mirrors the texture, tempo and structure found in Mega Man 3’s stage select theme, incorporating the same bass line, percussion, and melodic synthesizers. It even follows the same i-vi-vii chord structure. Despite these parallels, the melody from Street Fighter 2’s “Select Your Fighter” screen comes through clearly. A_Rival even adjusts the tempo here to fit the current game’s style more closely, slowing Street Fighter 2’s 140 bpm down to just 100 bpm to match Mega Man 3’s stage select. Other tracks also feature nearly direct quotations of Mega Man material. For example, “Dhalism Stage” begins with the same striking rhythmic pattern as Mega Man 3’s “Snake Man,” also beginning on the same f-sharp, though with a slight change of melodic contour in the highest voice. This memorable opening connects these two very different tracks smoothly. It’s musical intertextuality like this, where graphics and gameplay alone might not cover the distance, that make Street Fighter X Mega Man feel so authentic. “Ryu Stage” makes another good example. This track’s intro phrase draws clearly from the opening bass melody in Street Fighter 2, but its synthesizers, texture, and harmonic chords form a near-perfect match with Mega Man 2’s “Flash Man.” “C. Viper Stage” takes a similar shape, using a drum beat, texture and tempo that closely match the theme for the first Wily Stage in Mega Man 2—with both tracks even coming to a change in tonal center at about the same time (20-30 seconds in). The only thing perhaps lacking in this OST is the strong sense of counterpoint present in so many early Mega Man tracks, where multiple melodies frequently interweave with one another. This OST does have strengths of its own, though. For example, track titles like “Goes With Everything” show a sense of levity that fits well with the nature of the game itself. Tracks like “Boxer Stage” and “Claw Stage” are simply great examples of chiptune music at its best, with its quirky vibrato, crisp articulations, its clarity, and the essential cleanness to many of its sounds. What’s more, this soundtrack evinces the quality of the original Street Fighter themes and the truly impressive feat of creating a cohesive, unified style across multiple Mega Man titles—most of which featured different composition teams from the previous game in the series. Though Mega Man 3 and Street Fighter 2 hit the market only a year or so apart from each other, this year of time reflects a huge gap in technical capability, during which the new Super Nintendo Entertainment System enabled added voice lines and many more synthesizer possibilities than the NES could support. A_Rival’s work on this soundtrack bridges that gap in a creative and satisfying way. This soundtrack’s timbres, rhythmic patterns, drum beats, synthesizers, textures and musical style are a perfect throwback to early Mega Man games, while still holding true to the content and styles of Street Fighter themes. Ultimately, it’s a great fit for the game it underscores and excellent listening for chiptunes fans. Posted on October 21, 2017 by Stephen Taylor. 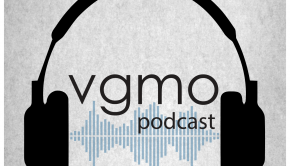 Last modified on October 21, 2017.